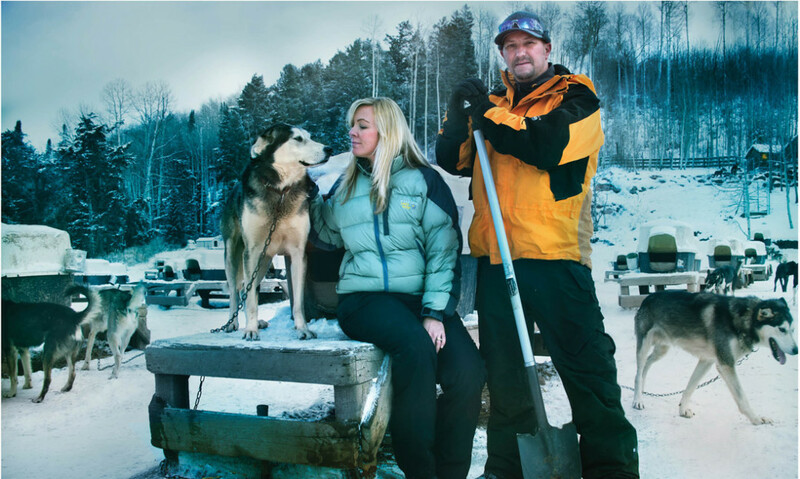 Since taking over from its embattled longtime proprietor, Danny and Gina Phillips are moving the dogsledding operation toward a kinder, gentler future. Two inches. That’s the length the new owners of Krabloonik added to the chains that tether the Snowmass institution’s sled dogs to their shelters. While it may sound insignificant, the change means the dogs can now touch noses and interact, moving Krabloonik a step closer to untethering the dogs altogether. Compared to the old digs, Krabloonik’s new canine confines are pretty plush. The old doghouses were traditional plywood with no bedding. Now they’re more weather-resistant plastic with five inches of organic (no allergens) straw. As before, the dogs receive their big feeding at bedtime—it warms them through the night—but now they get snacks every couple of hours, too, including a homemade doggie energy bar made of broth, fat, and mush. With 210 dogs, Krabloonik is the largest kennel in the Lower 48, one of only four of its size in the world. The Phillipses plan to reduce that size—doing so will allow them to continue to make their operation more progressive—and they will transition from race dogs to tour dogs, meaning bigger, fuller huskies. That breed will add one more idyllic element to an experience that already borders on the magical: sitting huddled in a sled, harnessing the power of man’s best friend to take a thrill ride through a forested winter wonderland.